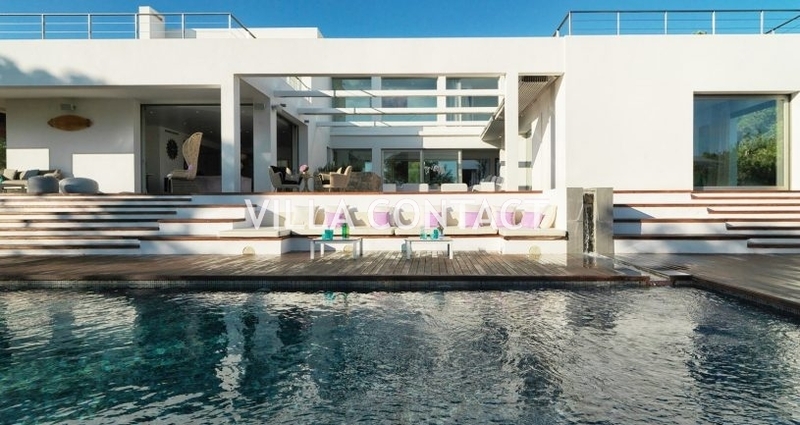 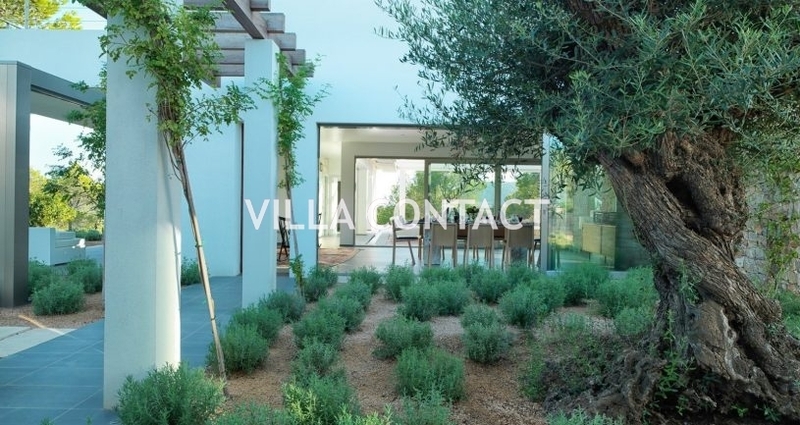 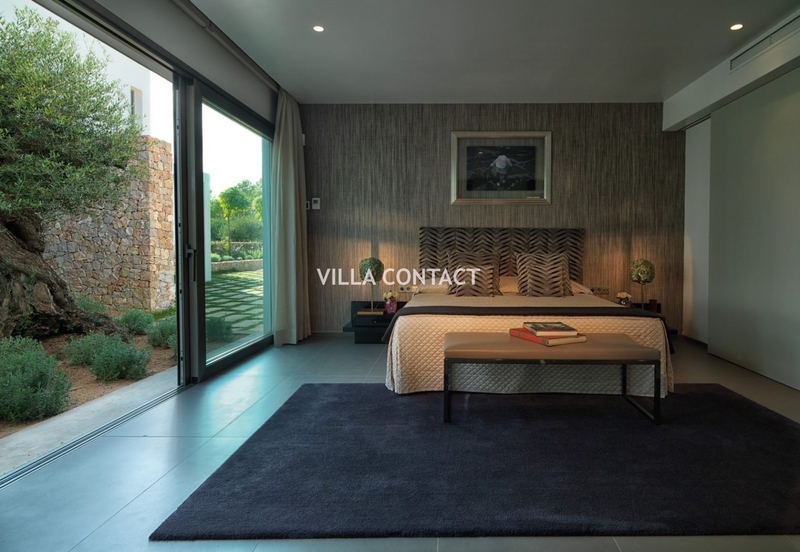 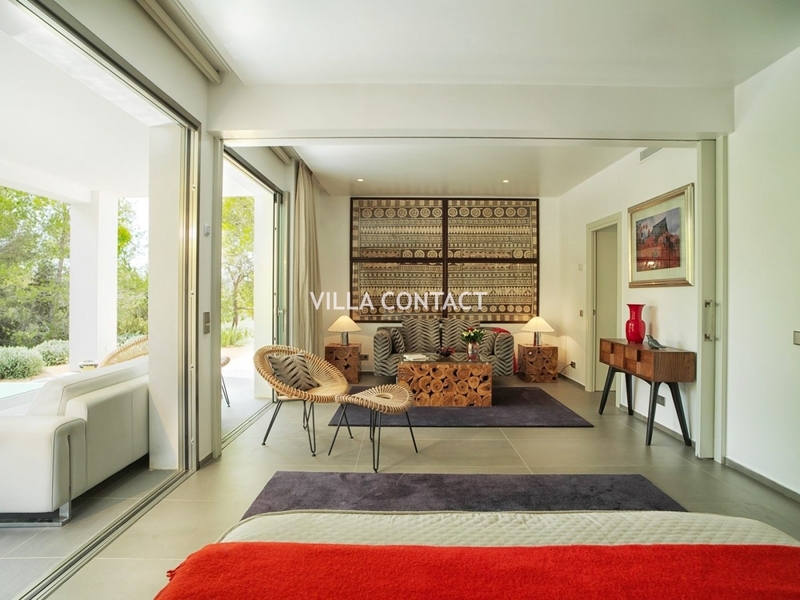 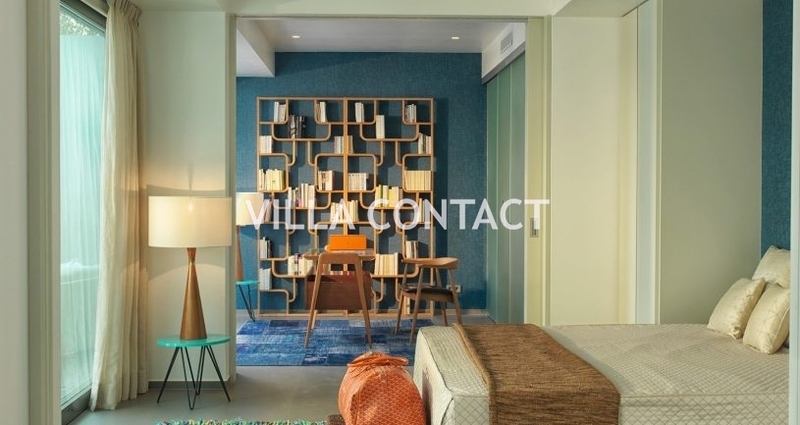 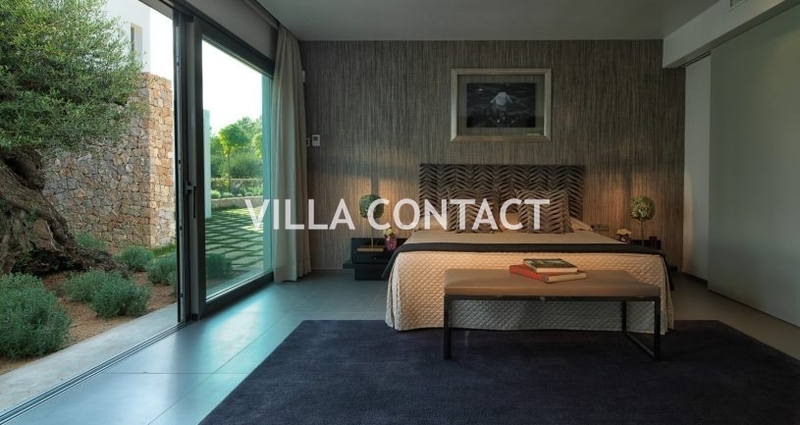 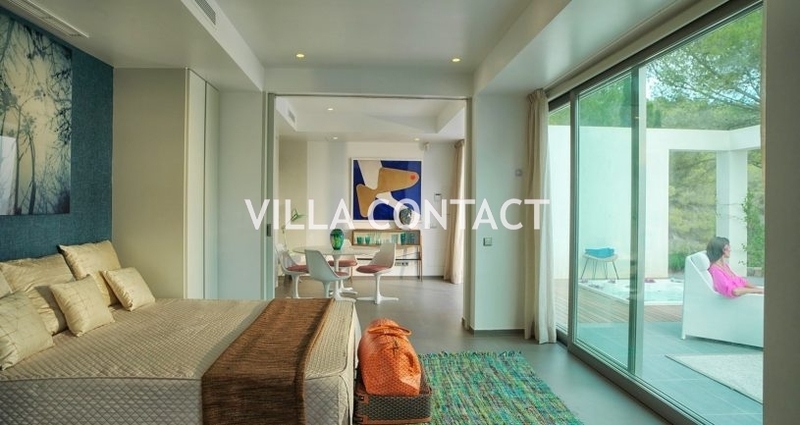 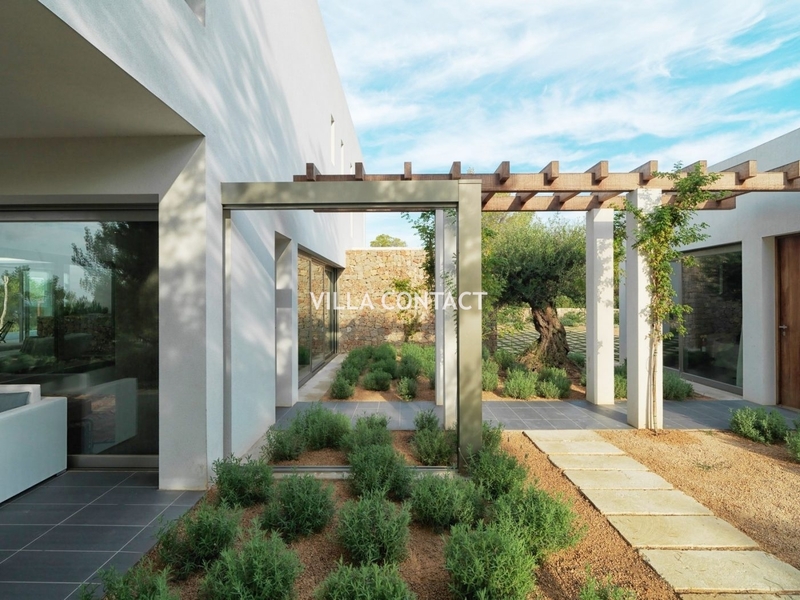 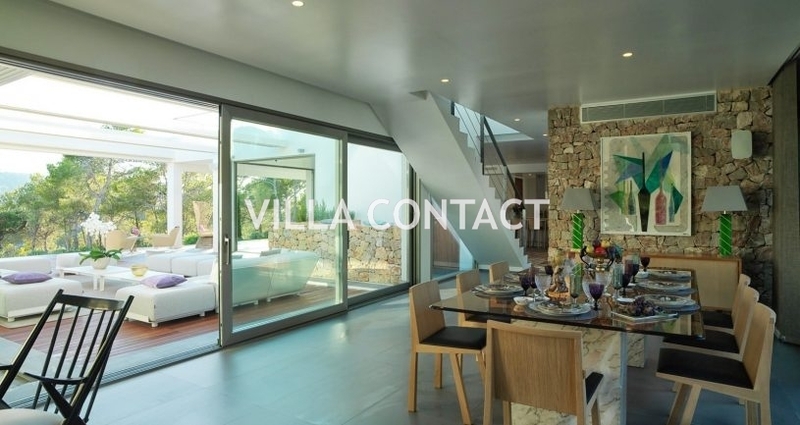 This fantastic luxury villa has been built in a very sleek and modern architectural style, with a great flow of open spaces and open on the surrounding nature. 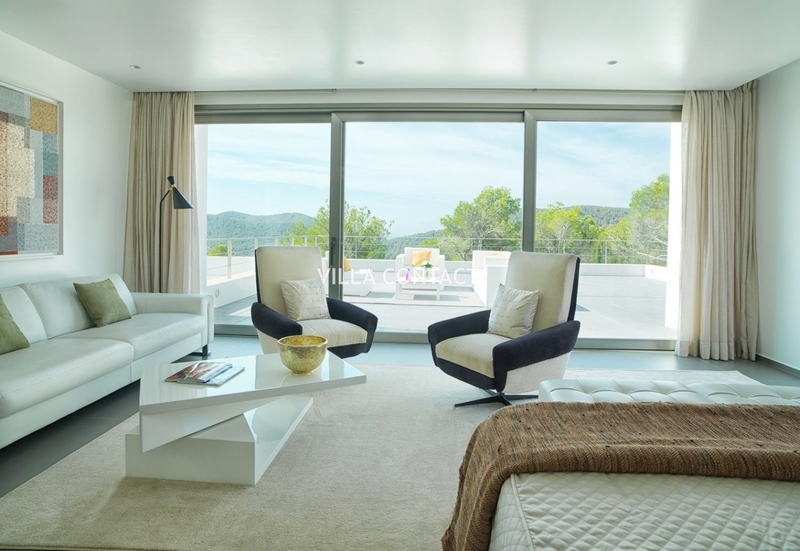 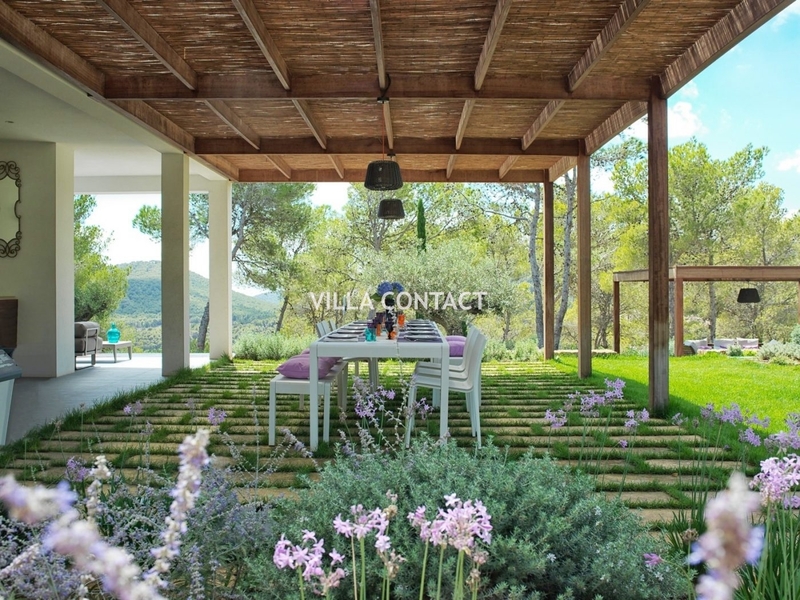 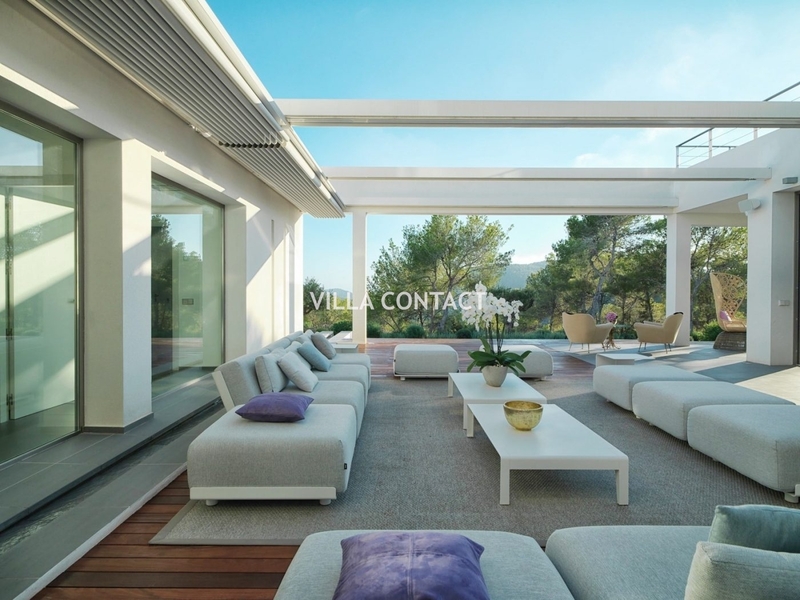 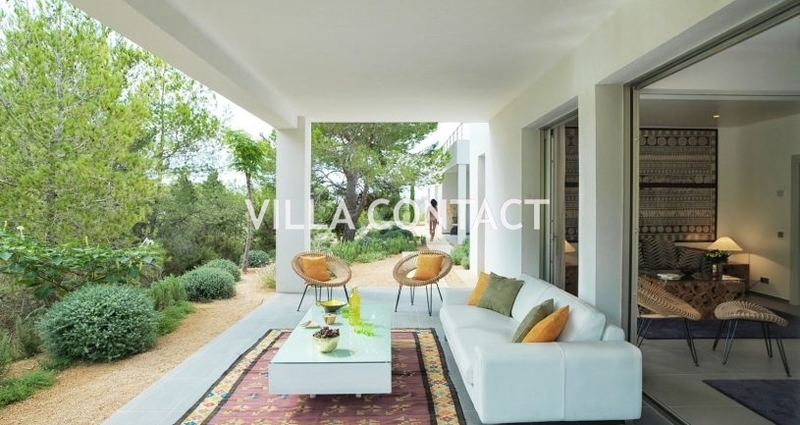 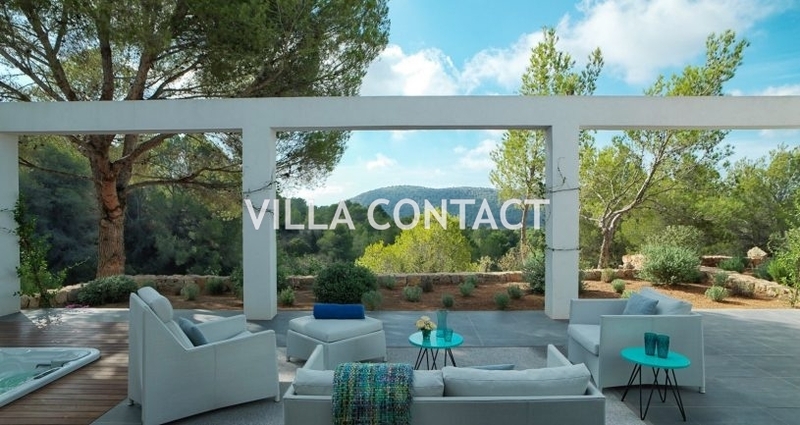 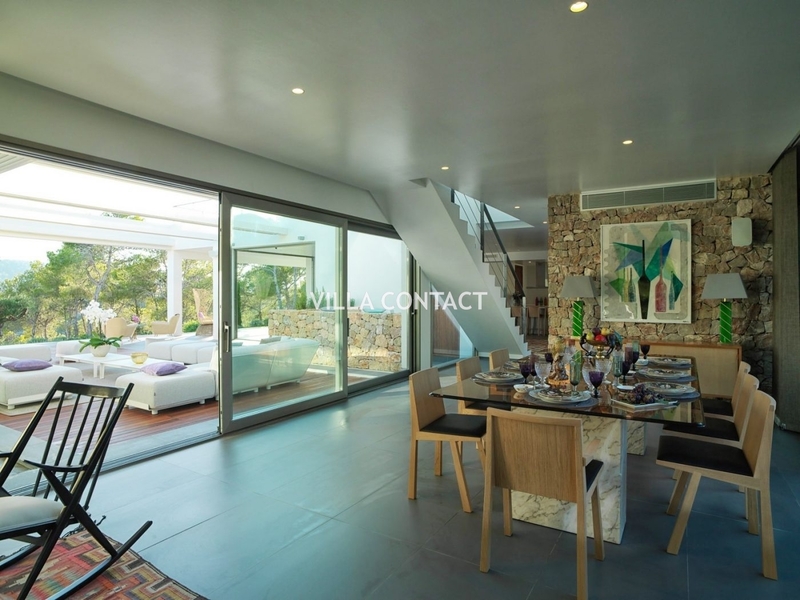 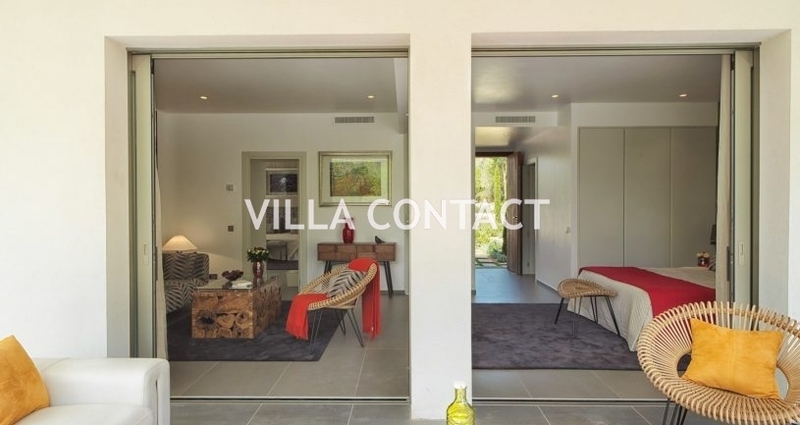 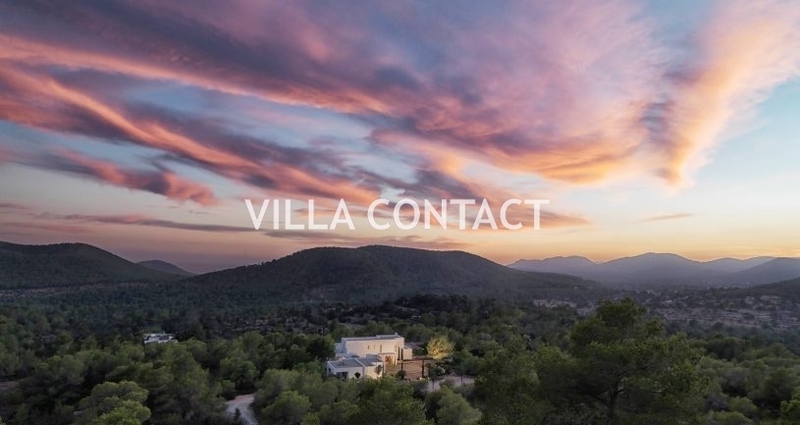 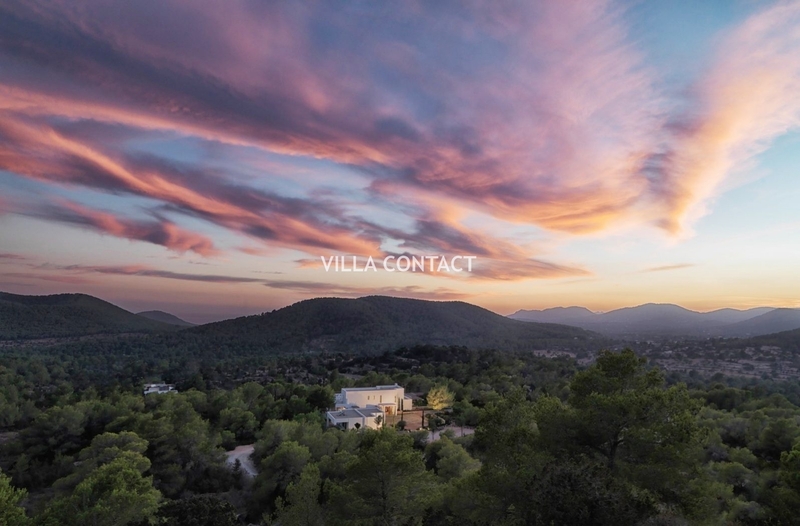 Located in the south of the island at km 6 between Ibiza town and San Jose the villa enjoys wonderful views over the valley and the sea (Cala Jondal). 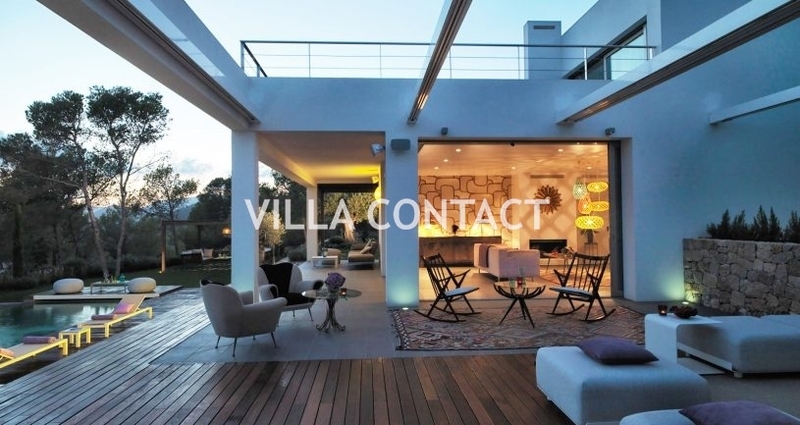 This fantastic 7 bedroom modern and contemporary villa was built in 2013 by the famous architect Jaime Serra. 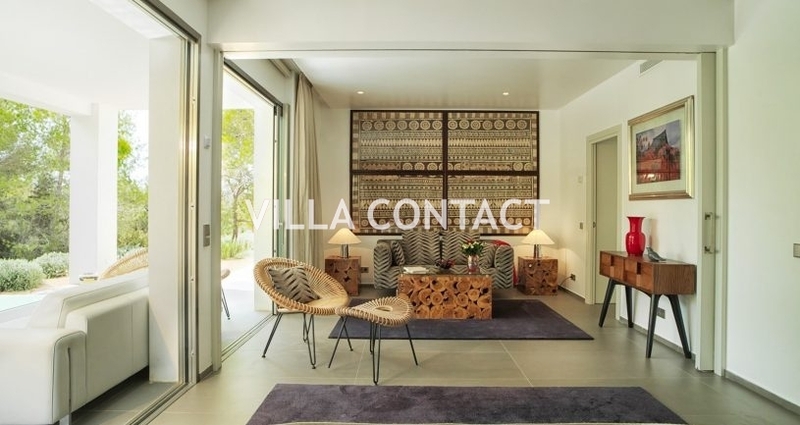 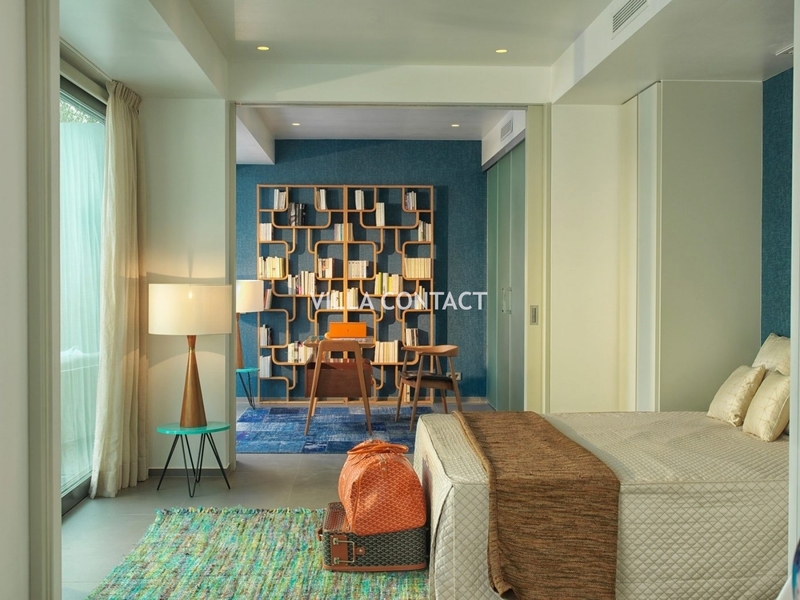 The house surface is 460 sqm and there are a total of seven bedrooms distributed between the main house with four bedrooms, a separate guest house with two bedrooms, an another separate guest studio. 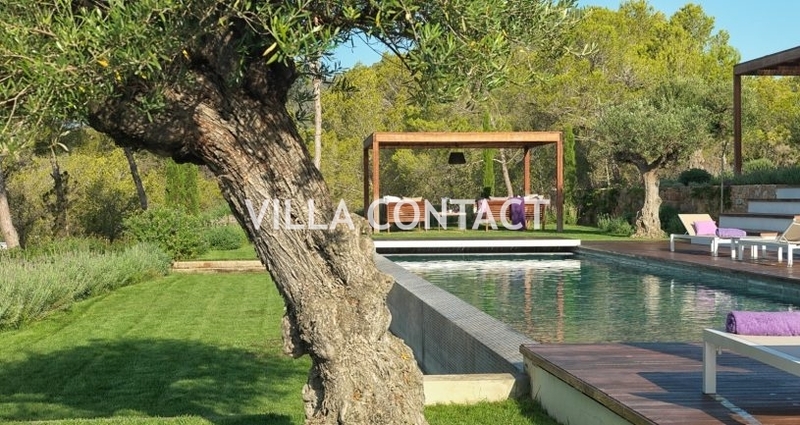 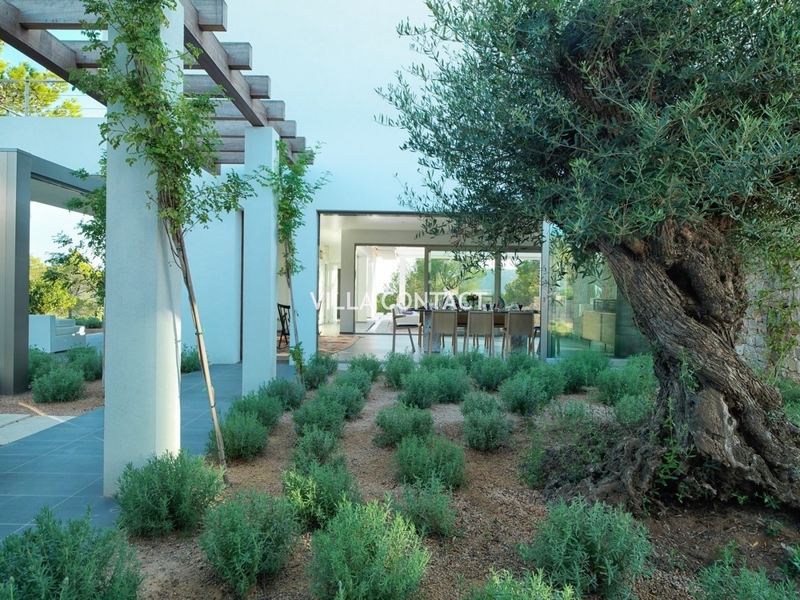 The landscaped gardens are design ion a Mediterranean style, with nice green lawn with olive trees, mimosas, lavenders, and the garden has a fountain surrounded by orange trees. 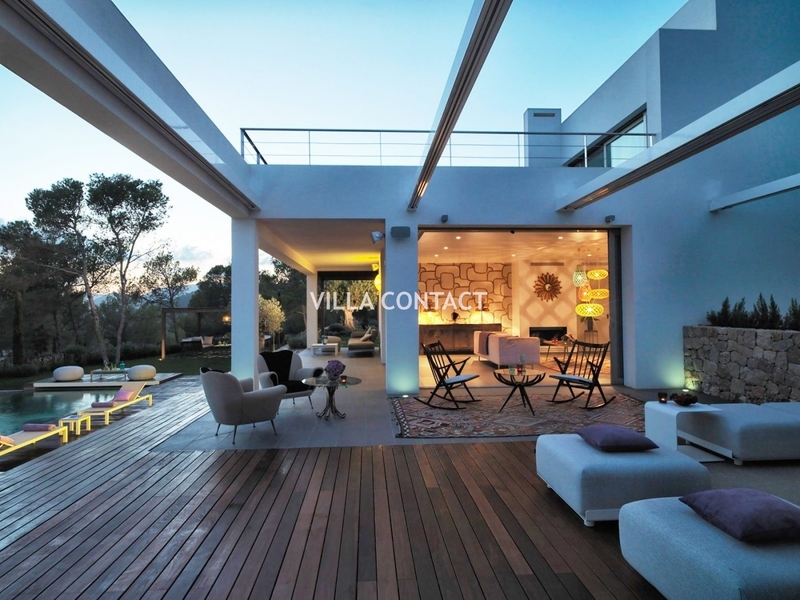 The 5×15 meter pool is heated and is surrounded by a great wood decking, and two lounge areas offer the perfect shelters to relax. 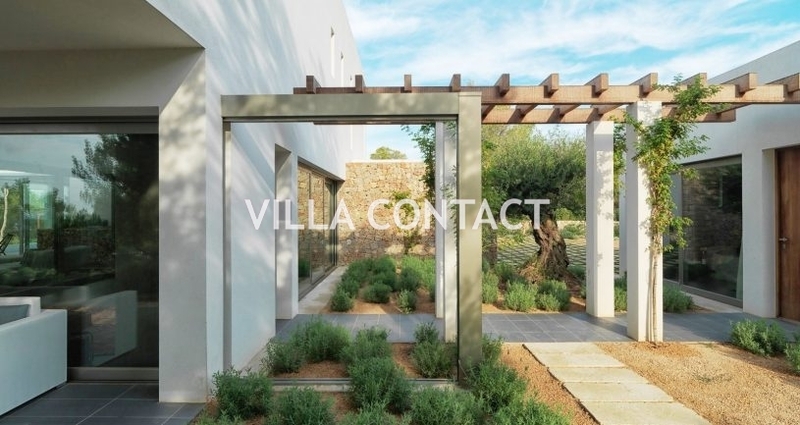 The property is gated, with a separate gated entry for staff.